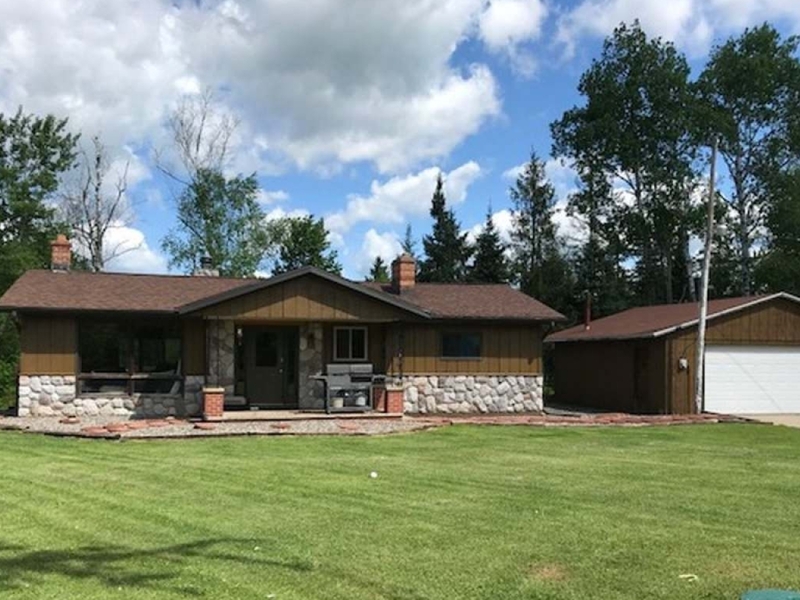 Here is your peaceful 3 BR, 1 BA country home with 10.56 wooded acres, a wrap-around deck that overlooks 467&apos; of frontage on the Peshtigo River, a 2.5 car detached garage and a new 48x32 heated pole building. This home features an open concept with beautiful oak cabinetry, newer laminate flooring, a brick wood-burning fireplace in the living room, spacious bedrooms and a nice family room with a gas burning fireplace and back deck for you to enjoy the wooded backyard and picnic area by this peaceful river. Downstairs you will find a nice family room, a laundry-utility area, and a large storage area with a walkout to the backyard. The property includes a private drive, an extra shed for storage, apple trees for you and the deer, and a gorgeous country setting. Call today.